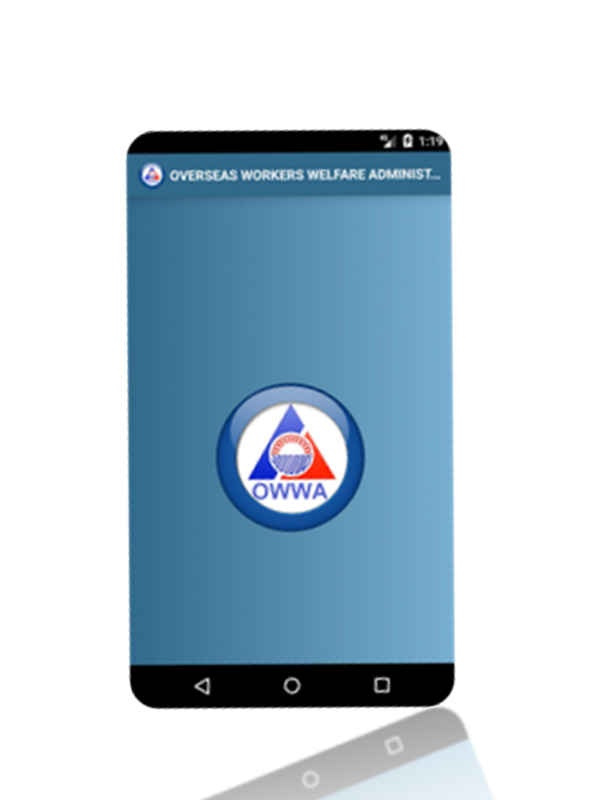 Overseas Workers Welfare Administration (OWWA) is the branch of the government that handle OFW concerns safeguarding the welfare of their members here and abroad. To enjoy the benefits from OWWA, an OFW must be an active member, meaning, you need to renew your membership every two years. Payments are usually done at the POEA while securing an OEC or can be also done abroad at the embassy offices of their host countries. Every OFW must be an OWWA member because it is impossible for every OFW to leave the country without the approval of the POEA and securing OWWA membership is one of the pre-requisites in order for an OFW to be able to leave the country. An active member can enjoy OWWA benefits like availing loans, TESDA scholarship, livelihood and entrepreneurship seminars and other reintegration programs for returning OFWs. 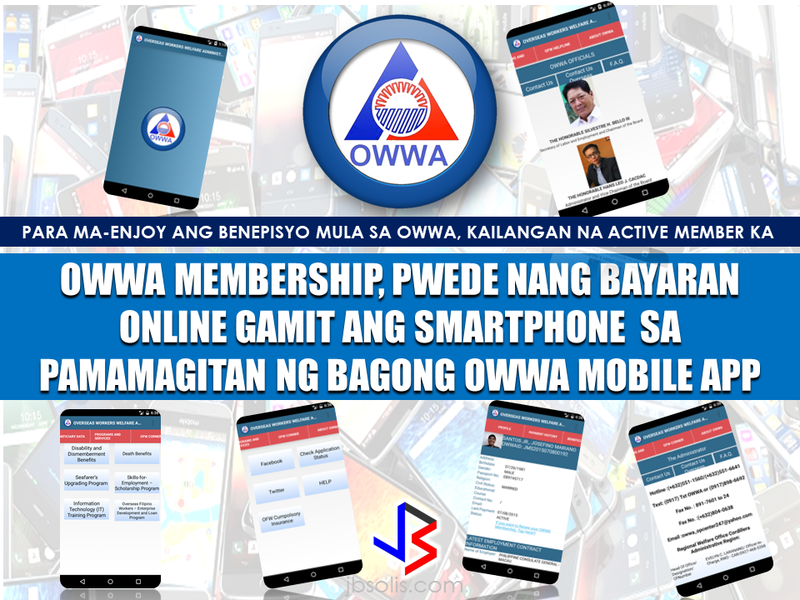 OWWA membership is valid for two years, so every OFW has to renew their membership to continue enjoying the benefits. 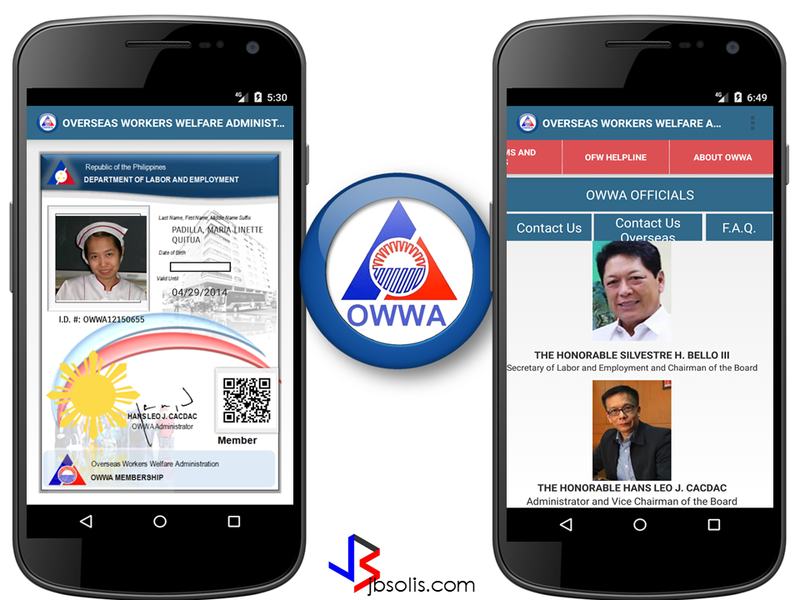 OWWA has made their services accessible to every OFW members by launching the new OWWA mobile app which can be readily downloaded at the Google Playstore for android users. On the program Radyo OFW hosted by Ms. Hannah Señeres and Gemma Comiso, OWWA Administrator Hans Leo Cacdac has mentioned the launch of the new OWWA mobile app to be done by DOLE Secretary Silvestre Bello III in time for the commemoration of OWWA's 35th Anniversary on May 2, 2017. 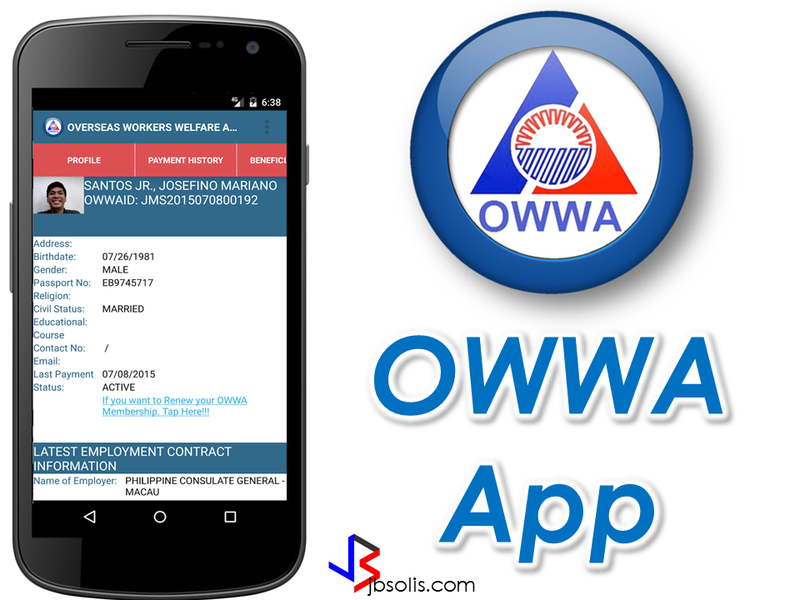 The application simply named OWWA App is a useful tool to reach the OFWs who want to update their membership even in the absence of an OWWA office in their host countries. You just need a smartphone with internet access and you can be in touch with OWWA. By using the app, members will have an easy access to the benefits and services offered by OWWA. 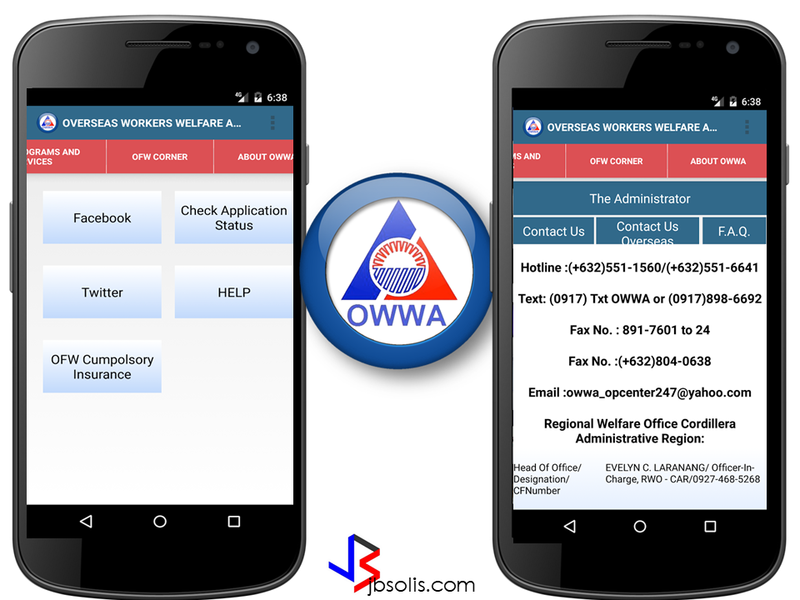 The OWWA app is now readily available on Android devices. You can download it from the Google Playstore for free. For downloads, you can click here. The app contains member's personal information like name , birth date, passport number,employment contract information, membership status, payment history and members beneficiaries. There is also an option for membership renewal. You can also access the different benefits online hassle-free. Members can also connect with OWWA for other concerns regarding membership through Facebook and Twitter. 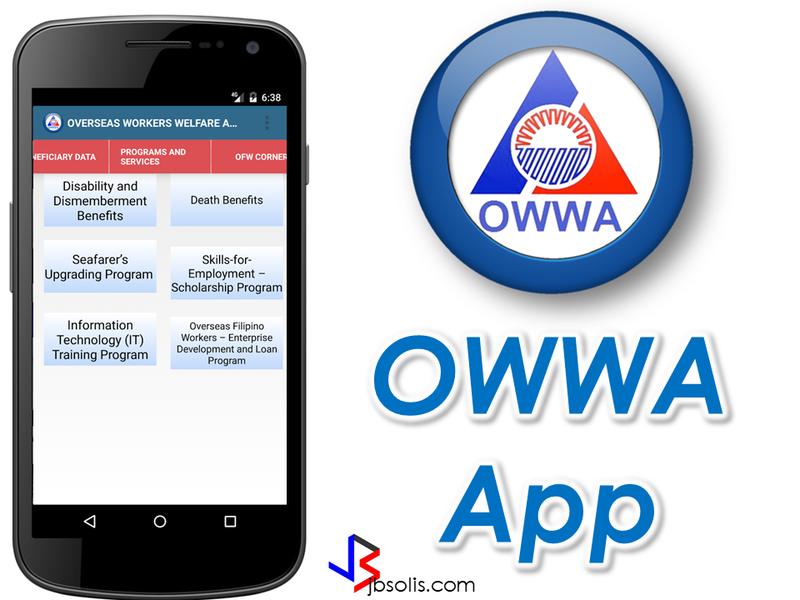 With the OWWA app, benefits and services for members and beneficiaries is just a click away. Just make sure that you keep your membership active.